$500 Off Your Renovation Project! The Kohler name has been synonymous with design excellence and quality craftsmanship for more than five decades. Continuing and expanding the work his father began in 1963 as Kohler Associates Architects, Mark Kohler formed Kohlmark Group, a design/build architecture company comprised of Kohlmark Flach Architects—spearheaded by president Thomas Flach, AIA—and Kohlmark Builders, a class A general contractor. Amid their growth and success, the company remains committed to quality, integrity, client services and the environment. Kohlmark Group relies on a collaborative effort between the client, architect and builder, and believes the best way to maintain and deliver quality is to build the project itself. With architectural and construction services under one roof, clients gain peace of mind knowing their designs will be executed to perfection. With direct access to the architects, the transition from design to construction is seamless, accurate pricing is generated from day one, and the entire design/build process is streamlined. This integrated approach to design and construction ensures project integrity and sets Kohlmark Group apart. Kohlmark Flach Architects designs houses across a wide range of styles and locations and shares in our clients’ passion for well-crafted architecture as a way to enhance quality of life. We love designing for unique and challenging sites and always strive to work within the context of existing neighborhoods. Permeating every design is our dedication to green architecture. We actively promote sustainable building methods and architectural designs and are constantly evaluating new products and processes to educate ourselves and our clients. Strong leadership has been a benchmark of the company’s success and reputation. Mark Kohler holds a Bachelor of Architecture degree from Virginia Tech and has practiced since 1984. He has served on the Board of Directors for the Metro DC Chapter of the NARI and co-chaired its CotY Awards Committee. Tom Flach earned undergraduate degrees in Economics and Psychology from Vanderbilt University before obtaining a Master of Architecture from Virginia Tech. With a shared respect for collaboration, environmental responsibility, and client service, Kohlmark Group proves that quality and value can be combined as seamlessly as design and construction. Milano Dezign Remodeling Center is a family owned design & build company located in Ellicott City, Maryland providing kitchen, bathroom, flooring, countertop, exterior deck, Sun-room, Kids room,Porch, Mudroom, Living Room, Master bedroom, Foyer, Millwork, Custom Mosaic, Basement along with full house remodeling services in Maryland, and design services in Maryland, Virginia, and Washington DC area. We are dedicated to providing our clients with the top of line quality services. We are experts in bathrooms, kitchens, flooring, wallpapers, custom paint, cabinet refacing, lighting, basement remodeling, fireplaces and more. We are local and we care about our community. Our Clients will always receive the highest level of service from initial estimate to the final inspection. Milano Dezign Remodeling Center was founded on a commitment to exceptional craftsmanship, our experience in all aspects of remodeling and project management is what allows us to deliver exceptional quality work at a fair price delivering the most value to our clients. We are constantly working on perfecting the design and install process to make sure our clients receive the highest quality service throughout the entire project, while implanting the latest design trends. Once our clients make the final decisions to work with us, we assure that project is completed on time and on budget. Whether you are thinking about remodeling your kitchen or improve the look and functionality of your bathroom, our professional designers will work with you every step of the way to make sure your home improvement project looks its best for many years to come. We strive to go above and beyond our clients dreams and fulfill all of their wishes. Our mission as Milano Dezign is to be one of the most trusted and respected home improvement company in our area and in the country as well. We work hard every day to achieve that goal by implementing strict guidelines that our entire company abides by. Give us a call today, for your FREE no obligation consultation. 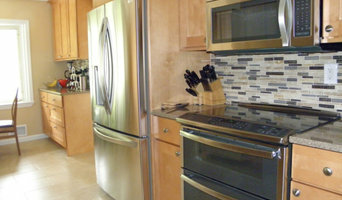 Residential construction specializing in kitchens & bathrooms. A complete service business covering everything from simple repair work to major renovations. Your home is your most important investment. You love your house, but you may have: Rooms not quite the way you want them, spaces that are not very functional, repairs that need to be done, additions that would be the perfect complement to your home, or just the desire for a different look. With a creative touch, the “not quite right” part of your home can become “just perfect!” A custom renovation from Beauchain Builders can: ☼ Add value to your home. ☼ Increase the functionality of a room or space. ☼ Create lasting beauty and comfort. We are residential renovation specialists providing quality craftsmanship and superior customer service focused on building lifetime clients. Call or email us today to start your "Love my home" project. Financing options available for most renovation projects! We are a design-build firm, specializing in additions, historic home renovations, outdoor living space; decks, porch, patio, and interior renovations; kitchens, bathrooms, basements, and commercial interiors. Coastal Trim and Design - we have extensive custom building experience- we specialize in hip yet timeless, cutting edge renovations and creative details... Kitchens, baths , basements, theater rooms, additions, decks, porches, pool cabanas- we have done it all. And we understand that you sometimes have smaller projects that also can make a big impact too in how you can enjoy your space, so we can take care of those too! Jonathan Rivera offers creative solutions for residential homes in Maryland, DC, DE, PA & NY. From a portico to a custom home, including his vast experience with waterfront homes, Jonathan brings considerable insight to every project. His core belief is simply this: every detail matters. Visit his website @ www.jonathanrivera.com or contact him at 443.226.5745 to schedule an in-person Design Consultation. 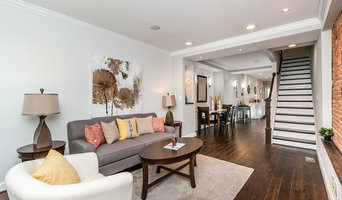 At Boyce Renovations, LLC, we are dedicated to quality home remodeling and construction as well as great customer care. Our goal is to give you jaw-dropping improvements that will make you wish you had called us sooner. We will come to your Catonsville, MD, home, listen to your design ideas and walk you through the entire remodeling process. If you want our contractor to build you a custom home, we can draw up blueprints that’ll give you the space you’ve been dreaming of. Call us when you want to improve the interior or exterior of your home in the Catonsville, MD, area and work with a reliable general contractor who has years of quality experience.